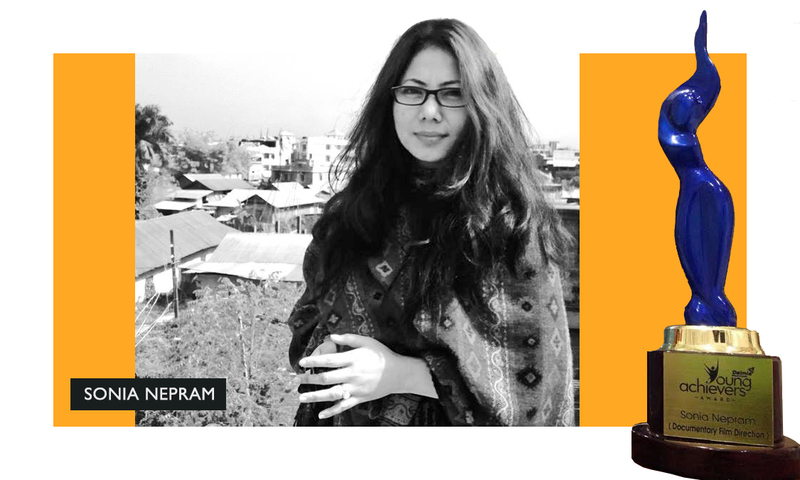 GUWAHATI, Jan 12: Independent filmmaker Sonia Nepram from Imphal has won the prestigious Young Achiever’s Award, which is sponsored by the Dalmia Bharat Group at a grand function held this evening at the Radisson Blu Hotel. This annual award is given to emerging stars from Northeast India in the field of dance, journalism, football, music, arts, acting and documentary film direction. In recognition of her exceptional achievement in the field of documentary film direction, Sonia received the award from the group’s senior executive director and head, corporate brands & marketing, Mr BK Singh. The Dalmia Bharat Group, established in 1939, is a leading multi-spectrum cement company with a double digit market share and a pioneer in super specialty cements used for oil wells, railway sleepers and air strips across India. A post-graduate in mass communication from the AJK MCRC, Jamia Millia Islamia, New Delhi, Sonia Nepram has been working on various media and audio-visual projects and has also set up her production house under the banner of Yelhoumee Pictures. She is currently working on a sociopolitical documentary titled ‘Bloody Phanek’, which is scheduled to be released in August 2017 at the DMZ International Documentary Film Festival in South Korea.